Last week of the regular season! Like the real baseball, I am sure many of you in fake baseball are still sorting through your playoffs. Here’s hoping that this info can be of help and use to you. Let’s get to it. I would be remiss if I didn’t mention the utter sadness of Jose Fernandez’ untimely death. We have discussed his injuries here in the MASH Report before, but this is just a gut punch for sure. The exuberance with which he played the game is something we will miss. After dealing with TJS in 2014 and a shoulder issue last year, he was putting up the best numbers of his young career. While not 100% back into a sound mechanical groove, he was, in my opinion, starting to show improvement. Too bad we won’t get to see the next chapter. What a career cut short. Prayers for the family. While Steven Souza Jr. originally injured his hip back in June on this play, he finally had something done about the injury last Wednesday with an arthroscopic surgery to address a labral tear. 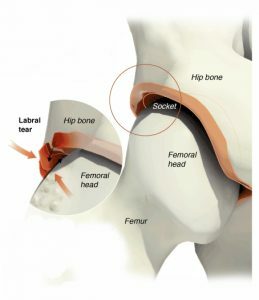 The hip joint is similar to the shoulder in that both are “ball-and-socket” joints, but the hip has a deeper socket. The more shallow shoulder socket is why the human shoulder is able to throw a baseball overhead. Just think about how much motion your shoulder has vs. what your hip can do. Also like the shoulder, there is a labrum (a ring of fibrocartilage around the acetabulum, see it here) that can get torn. In Souza’s case, the way he landed probably pushed the cartilage to a spot where it was pinched/torn. The Rays tried to manage it conservatively, and was able to play the majority of the second half. Obviously the injury got to the point where something had to be done, so he went to the physician who is arguably the “Dr. Andrews of Hip Surgeries,” Dr. Thomas Byrd in Nashville. He should be fine for 2017, as he will be on crutches for about a month and then can start running in December. I post him here to point out what a seemingly “minor” injury—remember this was called a “strain” at first—can wind up being. •	NLCS: OCT 15-23: this is where, realistically, Strasburg could emerge, if the Nationals make it here. Even then, it would most likely be in relief or, if he starts, something like a 3-inning cap. All of the above assumes he starts throwing off the mound later this week. If he doesn’t, you can almost safely push everything back a week. And weeks are not something that are in abundance right now. I wrote last week about Jacob deGrom and his surgery, as well as exchanged some Twitter messages with some folks about. This was, after all, just a clean-up for the ulnar nerve, as scar tissue had developed around it, causing compression & irritation. There was some concern of having to reposition the nerve in a different place, but that wasn’t the case here. He is free to begin moving as much as he wants, and honestly should have a fairly normal off-season. Now, he won’t pitch no matter how far the Mets make it in the playoffs, but 2017 should be situation-normal for him. I did like what he said in the article about how Dr David Altchek, who performed the surgery, was able to actually “get eyes on the ligament.” No matter how good the MRI is, there is no substitute for seeing it live and in-person. And it was in good shape. That’s encouraging, considering it was replaced in 2010. Lots of jokes about Daniel Murphy and his “buttock injury.” Proper terminology would be a “muscle strain,” either with one of the gluteal muscles (“glutes”). I am gonna guess the gluteus maximus, due to Baker saying it affecting his running. This is a strain comparable to a hamstring or possibly even an oblique, with regards to the amount of time it may take to be fully healed. And Murphy is someone the Nats need. Now that they have clinched, Murphy should have the time he needs to recover and be ready for the NLDS. Another word about Andrew Benintendi…..while his dance moves appear to be fine, as does his hitting, be mindful of him playing more than 2 days in a row. Recall he had a semi-significant knee sprain last month, and he is still dealing with swelling/soreness. Doesn’t mean he can’t play, just that he won’t be “ironman” and play multiple days in a row until next year. Please feel free to reach out to me with any specific questions on Twitter @bjmaack. BASEBALL WILL MISS YOU VIN SCULLY! Love Costner here. We hoped you liked reading MASH Report 9/26/16 by BJ Maack! Any thoughts on starting Adam Eaton this week? If you can wait another day to make a decision, I would. The White Sox aren’t going to be playing anymore after next Monday, so obviously there’s not immediate hurry for him to get back. I could be wrong here, but based on the injury I would guess he has a concussion and will need to rest. If it were mid-season, he would be named to the 7-day concussion disabled list. Maybe there’s some paperwork or contractural advantage to him not being officially named to the list…I don’t know. If you have to make a decision now, I would look elsewhere with only 7 games left.